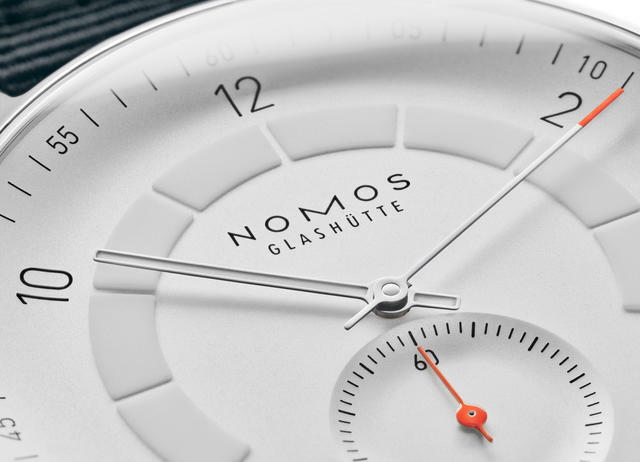 The newest NOMOS watch will thrill those who enjoy driving fast. 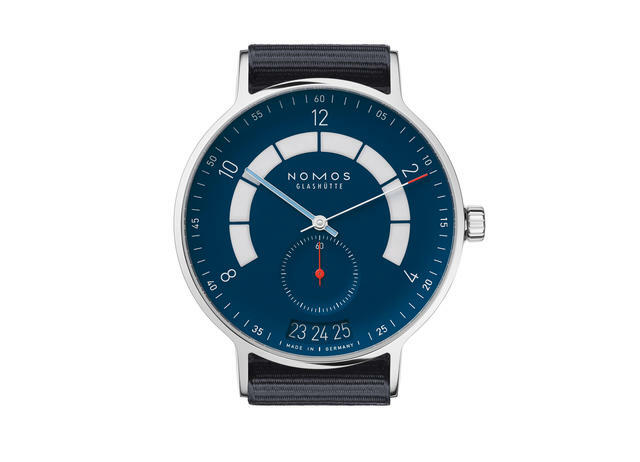 With a dial that recalls a speedometer and a three-lane highway with no speed limit, the 41mm NOMOS Autobahn takes its design cues from the German highway with the same name located not far from NOMOS manufacturing in Glashütte and its Berlin design studios. 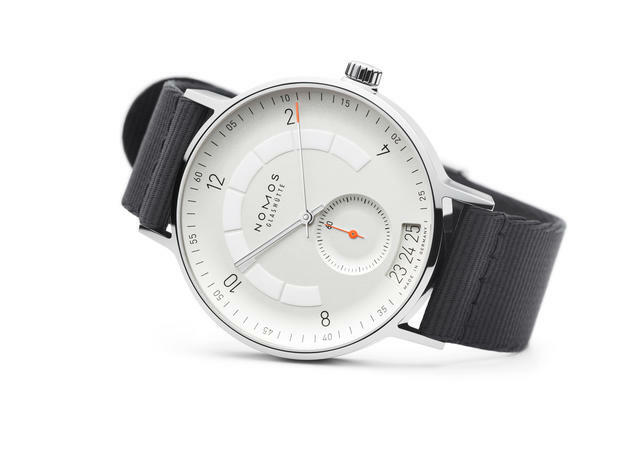 Developed in collaboration with German product designer Werner Aisslinger, the NOMOS Autobahn is the result of four years of joint effort between Aisslinger and the NOMOS design department. 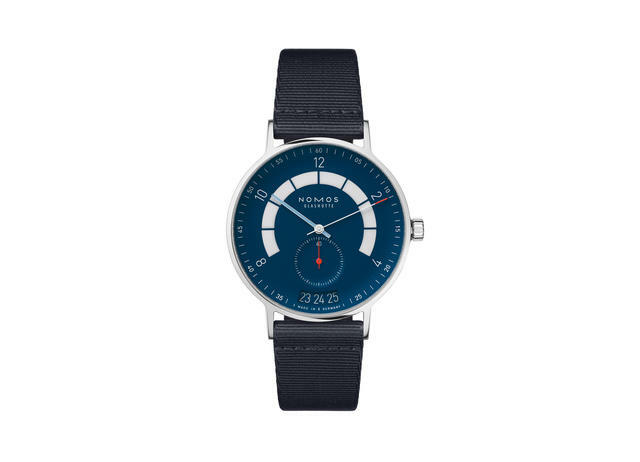 The dial features all sorts of details that will appeal to the race and car lover (and cycling enthusiasts, too, according to NOMOS): The curve of the dial’s flange is inspired by a racetrack while the elongated date window between 5 and 7 o’clock is three “lanes” wide. Superluminova markings track the hours, from 8 to 4 o’clock, and the curve is reminiscent of the speedometer of a classic car. 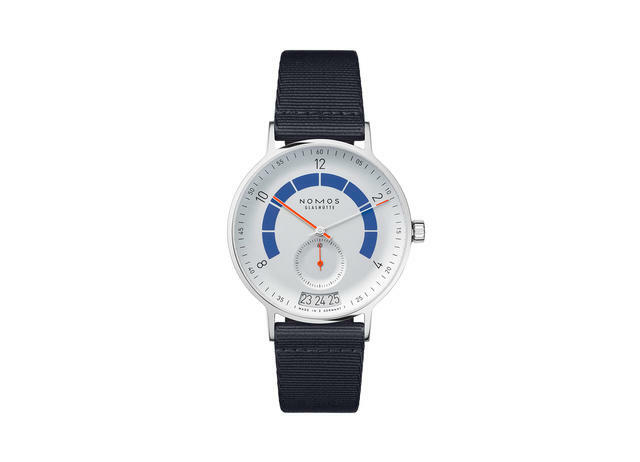 The 41mm steel watch comes in three dial color variations: white, sports gray and midnight blue. An automatic movement powers the hours, minutes, small seconds and date. The watch is water resistant to 100 meters. 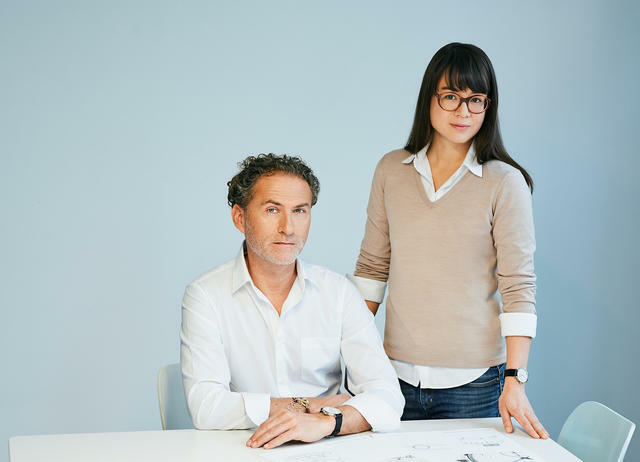 Students of design will know Aisslinger for a wide variety of projects, including furniture, futuristic hotels, greenhouse-inspired kitchens and renewable chairs. Earning worldwide acclaim, his work can be found in numerous museums, including the Museum of Modern Art in New York City, Fonds National d’art Contemporain in Paris, and the Victoria and Albert Museum in London, among many others. He and fellow German designer Tina Bunyaprasit turned their attention to timepieces with the Autobahn the first result. Their aim, according to Aisslinger, was to create “a new archetype for a watch.” Wasting no time, NOMOS has already shipped this watch to select retailers worldwide, where it will be available March 22. Price: $4,800.